Be in control of your web applications performance with the help of website monitoring software. Expert-level website monitoring tools help you find and fix web performance issues before users are affected. Web Performance Monitor (WPM) can monitor one to hundreds of applications from multiple locations around the world. Detect website performance issues based on location, transaction, and page element, and monitor website load times. Monitoring probes within your firewall or in public clouds allows you to securely monitor websites without agents. Licensed by the number of transactions in a perpetual license, which allows you to test as often as you need. 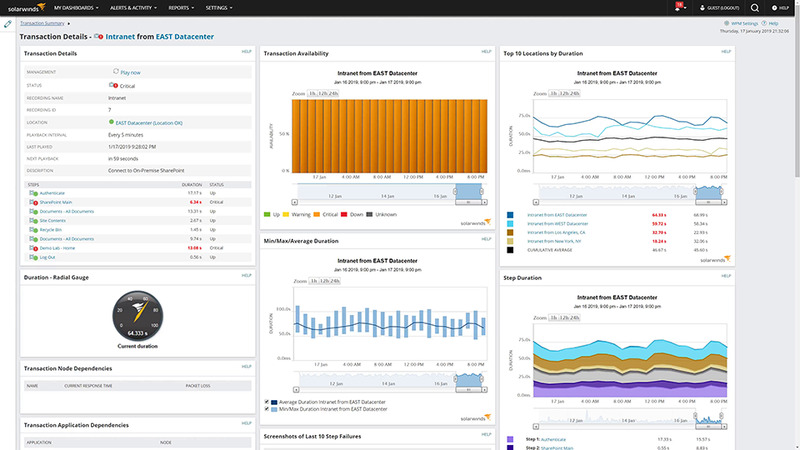 Monitor web services and SaaS application performance. Without relying on 3rd-party apps, proactively identify if slow web services are impacting user experience with SolarWinds website monitoring tools. Experience your app like a user. Record and run critical transactions as frequently as every 5 minutes. Troubleshoot with detailed load-time metrics. Monitor website user experience from multiple locations - on-premises and cloud. Deploy transaction players to Amazon® EC2®, and track user experience from multiple locations. Push a button to capture steps in any web transaction, no scripting required. Record complex, multi-step transactions without scripting. Identify and address web performance issues before users are affected. Website monitoring software notifies via SMS or email about website performance and application issues before apps fail. Web app and website performance reporting. Generate out-of-the-box and custom website performance reports, including page load speeds, transaction health, website availability, etc. Extend your view of your web application to a full view of your environment. 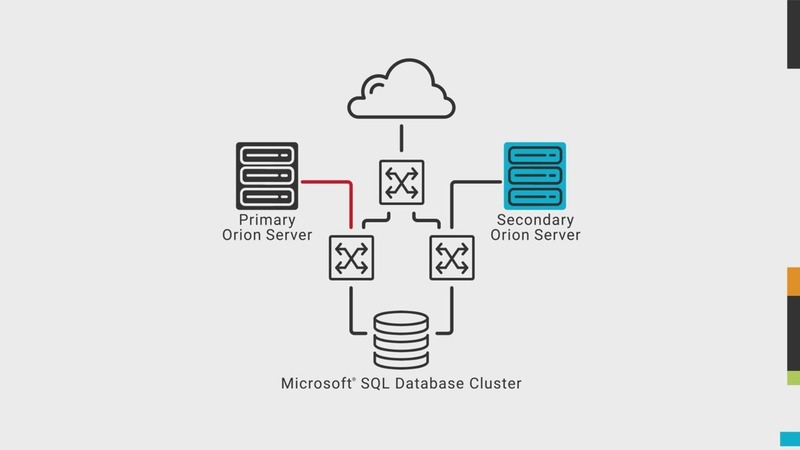 See deeper insights about the application infrastructure when other Orion Platform products are installed. Features Overview Be in control of your web applications performance with the help of website monitoring software. Web Performance Monitor is an industry favorite. Hands down. "Our dev team is really liking WPM, especially for many of our cloud-based or external-facing apps. We use it to not only monitor apps in the cloud, but as a player in the cloud to monitor internally hosted apps to get an idea of customer experience." "The SolarWinds solutions have given us better access and more transparency than ever before, as well as better access to the system. This empowers engineers to make decisions when they need to, based on what they are seeing on the monitors. Before, we pretty much relied on intuition." "I was impressed that we were up and running within 30 minutes of downloading the software. I dare anyone to find a product that is as easy to install, set up, integrate, and get into production." "We are currently monitoring about 315 websites with WPM. We look at every step in the transaction, and try to put content matches in where it makes sense. We find issues with the websites every day, at least 10 to 15 alerts every day." Where can I find information on installation and customization for my Web Performance Monitor product? 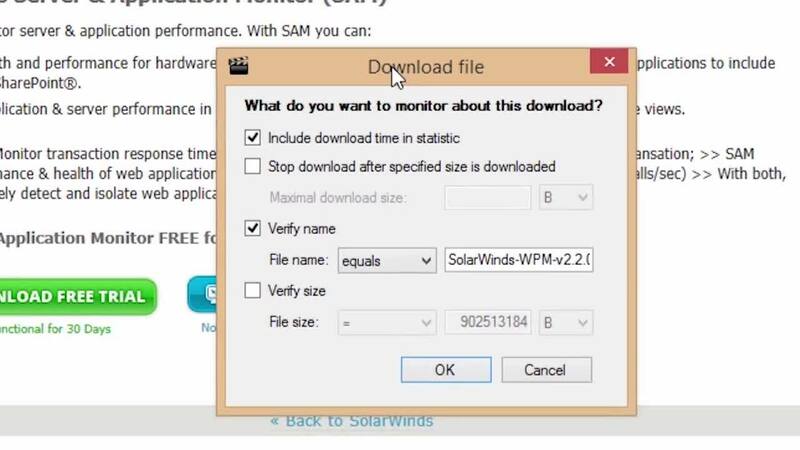 Does SolarWinds offer training or certification for the WPM product? Our WPM Training section was created using customer feedback and contains videos, guides, and articles that will help you be more successful with your installation and customization. SolarWinds offers an onboarding assistance program called Smart Start if you are looking for help getting WPM set up and optimized. We will provide you with access to one of our implementation experts who will work with you to understand your goals, assist you in installing and configuring your product, and help you optimize your environment for how you need your business to run. Website monitoring software allows you to monitor the performance and user experience of your web applications. It also helps you pinpoint the potential issues that can negatively influence end-users.